Jon Chait has written a devastating indictment of the emptiness of much of what passes for "centrism" these days, particularly in the U.S. Senate. He makes two essential points: first, "compromise" just isn't a viable option on many key questions, and even when it is, it should be understood as a painful political necessity, not as an example of civic virtue; and second, some "compromises," like Joe Lieberman's idea of regulating insurance company abuses without creating a larger risk pool, are simply nonsensical. But let's apply Chait's standards to the "centrist" compromise on health care reform that's currently on the table, Sen. Olympia Snowe's "public option trigger." Is a government-run public option in a competitive health insurance system one of those fundamental issues of principle like civil rights or Galilean cosmology (the two examples Jon cites in exploding the inherent virtues of compromise)? Maybe the answer is yes if you are a single-payer advocate who views the public option itself as a principle-stretching compromise of the barely-tolerable sort. But there are plenty of other progressives who view the public option as a means, not as an end in itself, so long as there is some other mechanism for making a competitive system work to provide universal access to care while constraining costs. The concept of a trigger for the public option is actually pretty savvy if the two sides were fighting over the empirical question of "can the health insurance industry control costs and increase competition in a constructive fashion?" If conservatives are right that a restructured market would compel insurers to cut costs and increase competition and generally clean up their behavior, then that's good enough. But if liberals are proven right that a handful of new regulations isn't sufficient to create a working insurance market, then the public option would "trigger" into existence and we'd give that solution a try. Ezra goes on to observe that proponents and opponents of the public option aren't really interested in a substantive resolution of empirical questions: "Liberals want a public plan because they want a public plan. Conservatives don't want a public plan because they don't want a public plan." 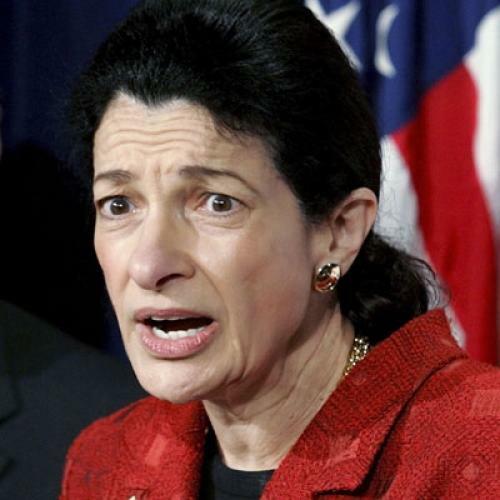 So the problem with the "trigger" is fundamentally political, and it won't fly unless Olympia Snowe happens to offer the only way to get to 60 votes in the Senate, which at present does indeed seem to be the case. As I've argued elsewhere, progressives who want to reject the trigger out of hand are in effect dictating a Senate strategy for health care reform that involves use of reconciliation or some other vehicle (like enforced party discipline on cloture votes) that reduces the necessary margin to 50 votes. That may well be the way to go, and it certainly would reduce the leverage of "centrists" in either party. But if that's the game plan, progressives should go into the fight with eyes wide open and weigh the risks. All "centrist" ideas aren't brain-dead, and even as we properly mock the worship of compromise as an end in itself, there are limits to what "standing on principle" on the details of legislation can accomplish. Ed Kilgore is Managing Editor of The Democratic Strategist, and a Senior Fellow at the Progressive Policy Institute.